I know it was first released a while ago now, but when it first came out and I saw it in Boots I was like 'oh I'll definitely pick that up next time I'm in here', then shock horror it sold out everywhere almost instantly and I didn't want to pay the £6 it was going for on amazon. So you can imagine what a happy bunny I was when I nipped into the Boots in Victoria whilst travelling back from seeing my boyfriend last weekend and found one lonely little tub all hidden away behind the other lip care! Plus it was only £2.99, just a pound more expensive than regular vaseline. After such a long wait I'm very happy that I'm not disappointed- the packaging is super cute (although it makes me crave pudding whenever I look at it! ), it has a really lovely sweet smell and like all the other versions, it leaves my lips feeling soft and moisturised. 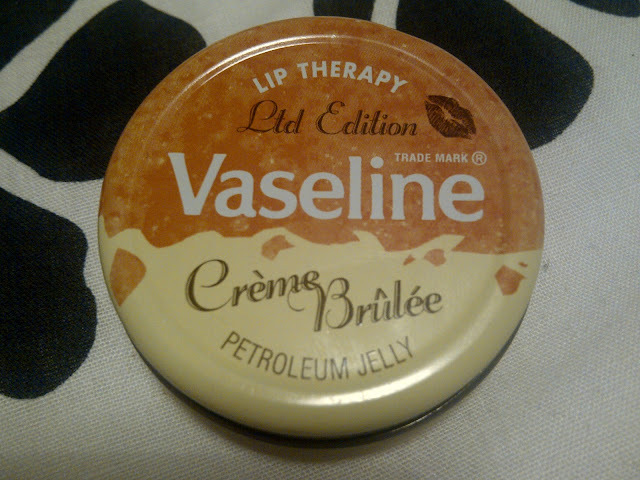 I always apply vaseline before I go to bed to prevent dryness and to prime them for the lipstick they'll be wearing in the morning, but I'm being very careful to alternate using this one with my cocoa butter vaseline so that it doesn't run out too quickly. 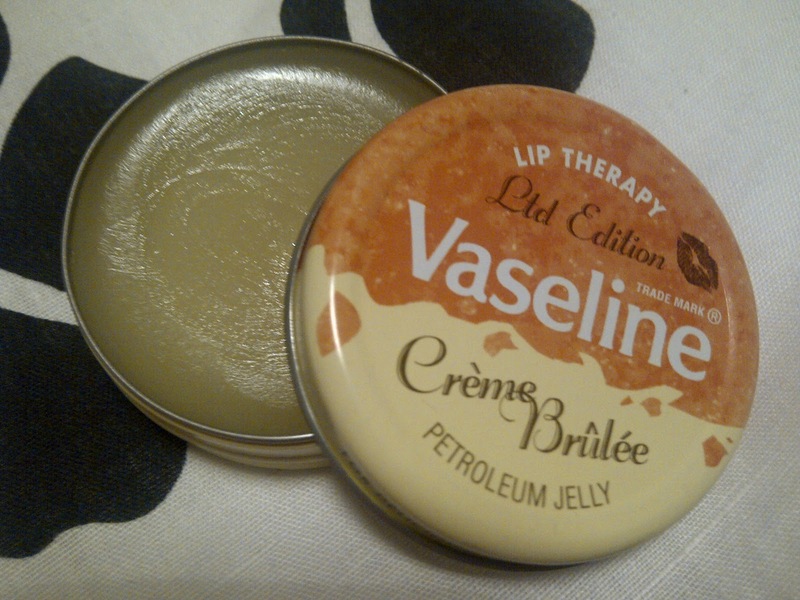 Did you manage to get your hands on this creme brulee vaseline? What's type do you prefer to use? As I said before I'm exhausted from a really long couple of days at uni and can't wait to just crawl into my bed with a cup of tea and the latest episode of skins tonight! I didn't even know this existed! Looks so good though, I'll be on the look out in Boots from now on! I bet it is super tasty.